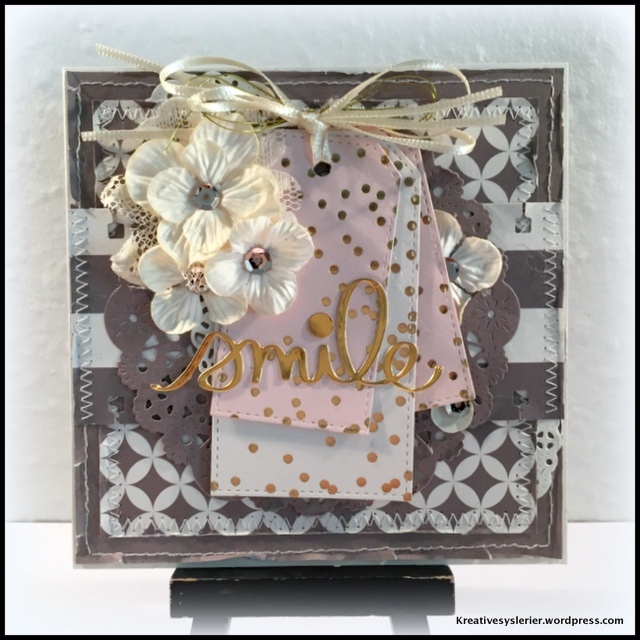 Love the tags on your adorable card! Thanks for playing along with us at Scrapy Land Challenge #15! So pretty. Interesting way to use all the tags and love all your layers. Fabulous ideas and great inspiration.